Now in the eighth week of the 2016 National Elite Basketball League (NEBL), the San Pedro Tiger Sharks are facing some major challenges. In the most recent round of games, the Tiger Sharks experienced yet another loss against the Smart Belize Hurricanes, dropping to fifth place on the tournament ladder. The current leaders of the tournament are the Smart Belize Hurricanes who have won nine out 10 played matches. But hopes are still high that the Tiger Sharks will make a comeback and claim the third consecutive NEBL Championship. This week’s matches started on Thursday, March 10th, with the Belize City No Limit traveling Belmopan City to take on Belmopan Bandits, who is riding high on a four-game winning streak. Belmopan Bandits (5-4) jumped out to an early 21 - 15 lead at the end of first quarter, which they extended to 45 - 28 going into intermission. However, the visiting team, Belize City No Limit (2-5) was able to cut the lead to 8 points at the end of the third quarter, 64 - 56, which they further reduced to 5 points in the fourth quarter. 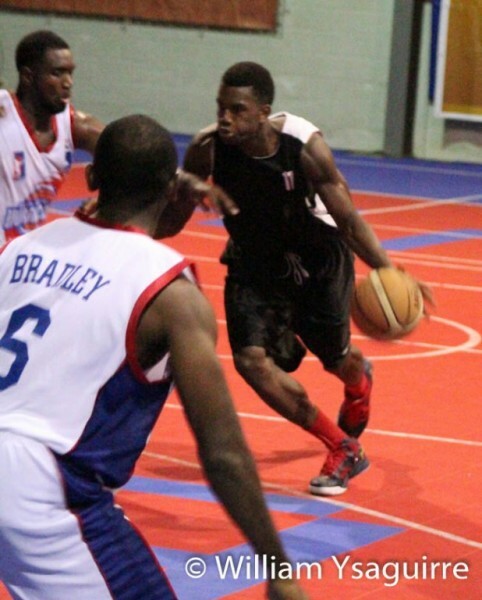 But the Belmopan Bandits then went on a 7 - 0 run to seal the 81 - 70 win down the stretch. The second match of the weekend saw the Dangriga Warriors traveling out west on Friday, March 11th to take on Cayo Western Ballaz at the Sacred Heart College Auditorium. Cayo Western Ballaz had the early lead at the end of the first quarter, 17 - 15, which increased to 29 - 25, at the half. Down the stretch in the fourth quarter, Dangriga Warriors gave the west boys a run to take a 1-point lead with less than a minute to go. However, key free-throws from Winston Pratt and James Milton sealed the victory for the home team, 63 - 61. Also facing off on Friday, were the Smart Belize Hurricanes and the San Pedro Tiger Sharks. Two time defending champions, San Pedro Tiger Sharks, traveled to Belize Elementary School gym to try and avenge their first loss in the season against Smart Belize Hurricanes. The home team took a 25 - 15 lead at the end of the first quarter. The Hurricanes kept the lead, as they finished the first half with a 37 - 28 advantage. At the end of the third quarter, San Pedro Tiger Sharks was able to cut the lead to 51 - 48, and a 1-point lead in the fourth quarter. However, Smart Belize was able to pull away in the end, winning 78 - 69, to increase their first place seeding, by two games. The top scorer for San Pedro Tiger Sharks was Caleb Sutton with 17 points and 4 rebounds. Gene Myvett tallied 12 points, 6 assists and 5 rebounds, while Andrew Ortiz finished the game with 8 points and 11 rebounds. 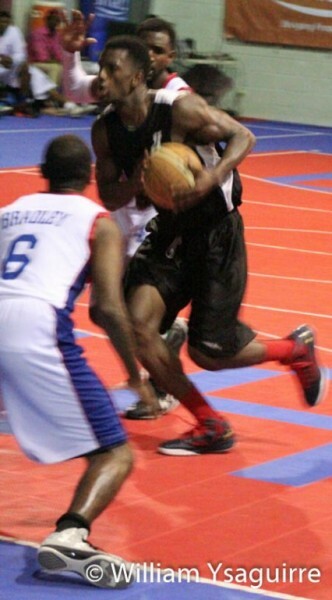 Smart Belize Hurricanes out-rebounded the visiting team, 52 - 43, while having the 20 - 17 advantage on second chance points. The first scheduled game for Saturday, March 12th saw the Belize City No Limit winning by forfeit, since Orange Walk Running Rebels was a no show. On the second match of that night, Dangriga Warriors hosted Independence Thunderbolts at the Ecumenical College. Dangriga Warriors came out hot, taking a 28 - 16 lead at the end of first quarter. By intermission, the lead was increased to 55 - 32, as the home team easily defeated Independence Thunderbolts, 111 - 77. Also happening this weekend is NEBL’s second annual All-star games. 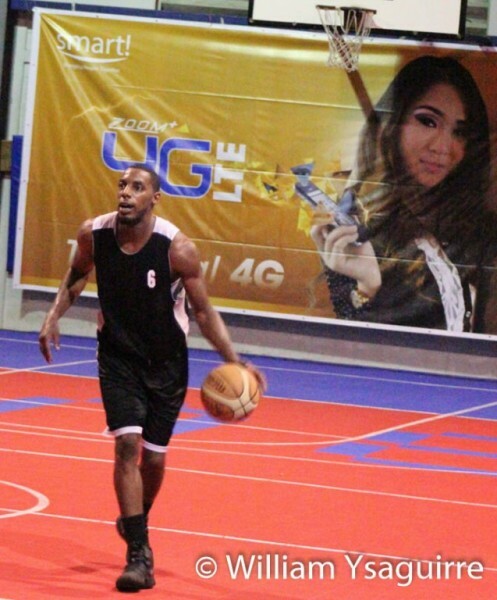 Scheduled for Saturday, March 19th at the University of Belize gymnasium in Belmopan City starting at 7PM, the night will start with the Wings Stop Skills Challenge, followed by its first ever VIP Wireless Celebrity Game. At 8:30PM the Aguada Hotel Three Point Shootout will get underway, as a new champion will be crowned this year, given that Richard Troyer will not be defending his title. In the All Star game scheduled for 9PM, the South will be defending its crown, and the nightcap will witness the Slam Dunk Contest, as home town baller, Jarrel "Bird" Velasquez will be defending his title on his home turf. The starters were selected by popular fan vote, via Facebook likes. The remaining seven reserves were selected by team managers. The North is comprised of players from Orange Walk Running Rebels, Belize City No Limit, Smart Belize Hurricanes and San Pedro Tiger Sharks. The teams from the South are Cayo Western Ballaz, Belmopan Bandits, Dangriga Warriors and Independence Thunderbolt. “The night promises to be packed with great excitement and entertainment. The biggest feature of the night is the first ever live camera in a sporting arena in Belize, with replay of the best plays and shots, as they are transpiring. The NEBL will also be hosting its first ever Celebrity Game, with a debut from Indira Craig, Chester Williams, Jules Vasquez, Maestro, Mad Bull, Tarun Butcher, Wil Maheia, Harrier Liang, Paul Thompson, TR Shine, Pulu Lightburn, Duck Garnett, Nigel Miguel, Yellow Man Gaynair, Tarike "Soup" Campbell, Kaya Cattouse, Alfred Ayuso, Anthony Mahler, Karim Berges and other big names. You surely do not want to miss out on this great game, as the stars will be out in full force at the UB gymnasium on Saturday night,” said Karim Juan, NEBL Commissioner. All games can be followed live online at nebl.sportingpulse.net, with real time box scores while the game is being played. The website also has all game scores, box scores, players and teams’ statistics, along with standings for the season.